like an old car engine slipping out of gear. call enemies and friends to say goodbye. it’ll have my bones to thank. I want my fi re to burn completely into ash. you know I won’t be coming back. inside his tenor, liquid silver. Mythic insects leapt inside his voice. including Mood Indigo, in one take. but did you hear that tone ? there is nobody quite like you. played from the edge of a dark dream. and played to ask Why? Why? ionise the air and soothe the silent crowds. 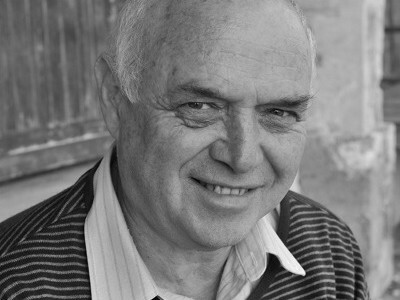 Robert Berold has published four collections of poetry and four books of non-fiction. As editor of New Coin from 1989 to 1999, he sought out and published much of the groundbreaking new poetry being written in that period, later editing a selection of these into the anthology It All Begins. He has edited over 40 books by South African poets, several of them published under his Deep South imprint. For most of his working life he has been a rural development worker and a freelance editor of technical books. Currently he coordinates the MA programme in creative writing at Rhodes University.